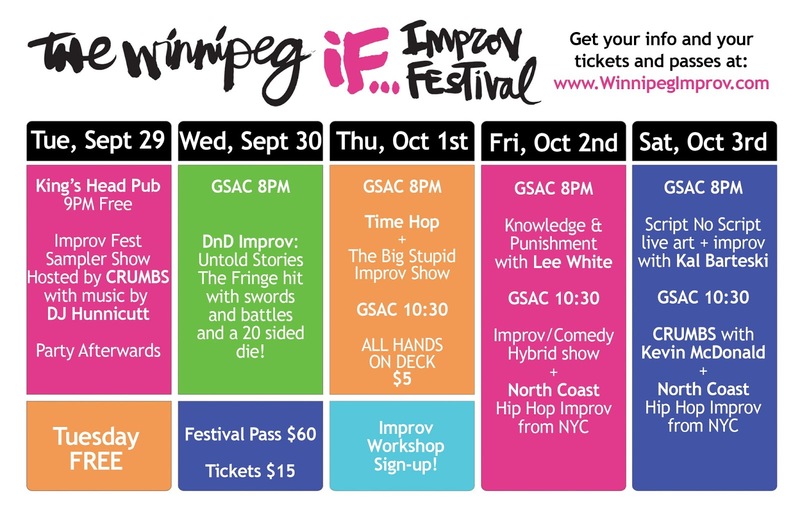 The Winnipeg if... Improv Festival is approaching so quickly, that by the time you read this, it might already be here (I don't know how fast you can read). The festival dates are Sept 29th to Oct 3rd, 2015. 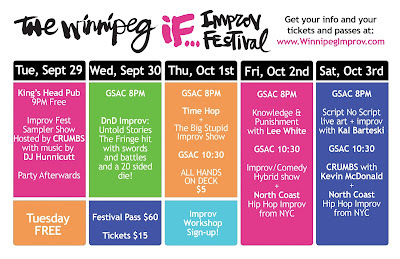 The Winnipeg if... Improv Festival kicks things off with a free sample show at the King's Head on Tuesday, Sept 29th. This show is hosted by CRUMBS with music by DJ Hunnicutt. This show has always been a great time. You get to see short improv scenes with a great number of improv guests and it's a nice way to see some improv and rub some shoulders. 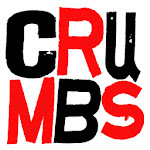 There are of course other great shows to see, but another CRUMBS show happens right at the end of the festival too. Yes, CRUMBS is the bookend of the festival, first and last. Anyways, the show is a CRUMBS show with special guest Kevin McDonald from The Kids in the Hall. Last year we did this show and it worked so well, we are doing it again. That show is Sat, Oct 3rd at 10:30pm at the Gas Station Arts Centre. You also might want to check out Lee White's creation "Knowledge & Punishment". This is a game show themed improv show where improvisers will do hilarious scenes, answer trivia questions and be punished cruelly when they do anything wrong. So much fun... to watch. This show is on Fri, Oct 2nd at 8pm at the Gas Station Arts Centre. But really, you are going to want to see all the shows. Why not get a FESTIVAL PASS that way you get to see it all AND you get to jump to the beginning of the line to get in first, get your good seat. BUY FESTIVAL PASS ONLINE NOW!